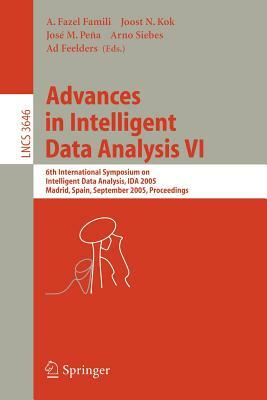 This book constitutes the refereed proceedings of the 6th International Conference on Intelligent Data Analysis, IDA 2005, held in Madrid, Spain in September 2005. The 46 revised papers presented together with two tutorials and two invited talks were carefully reviewed and selected from 184 submissions. All current aspects of this interdisciplinary field are addressed; the areas covered include statistics, machine learning, data mining, classification and pattern recognition, clustering, applications, modeling, and interactive dynamic data visualization.